The suspension of charges was announced by the government as the fifth bill was being issued to customers. 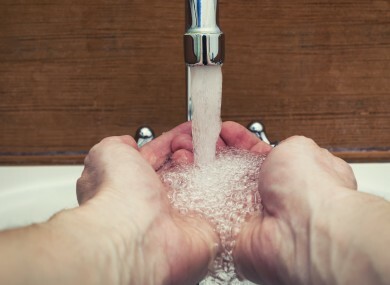 IRISH WATER HAS confirmed there has been a massive drop in revenue in the fifth bill cycle, from €33.4 million in the last cycle to €18.3 million during April and May. In a statement, the company said a total of 989,000 customers (65%) have paid some or all of their domestic water charges over the first five bill cycles. It pointed out that the planned nine month suspension of domestic water charges was announced by the government as the fifth bill was being issued to customers. Some 14,000 customers started paying for the first time during this bill cycle. The government has committed to covering any shortfall in funding from water charges during the suspension period. Irish Water said this will allow it to continue to deliver on its business plan. It will not issue any further bills during the suspension period. However, the statement stressed customers “remain liable for balances due on any bills issued to date and Irish Water continues to accept payment and to deal with any billing queries in relation thereto”. An expert commission has been tasked with looking at how we fund our water system and services. It is expected to forward its final recommendation to a special Oireachtas committee in 2017. Email “Irish Water revenue from bills slashed almost in half ”. Feedback on “Irish Water revenue from bills slashed almost in half ”.